Spring is the time of year dedicated to fresh starts, clean slates, and regrowth. There is something about this season that produces new energy and a yearning for change. Do you want to make a few updates to your home this spring? 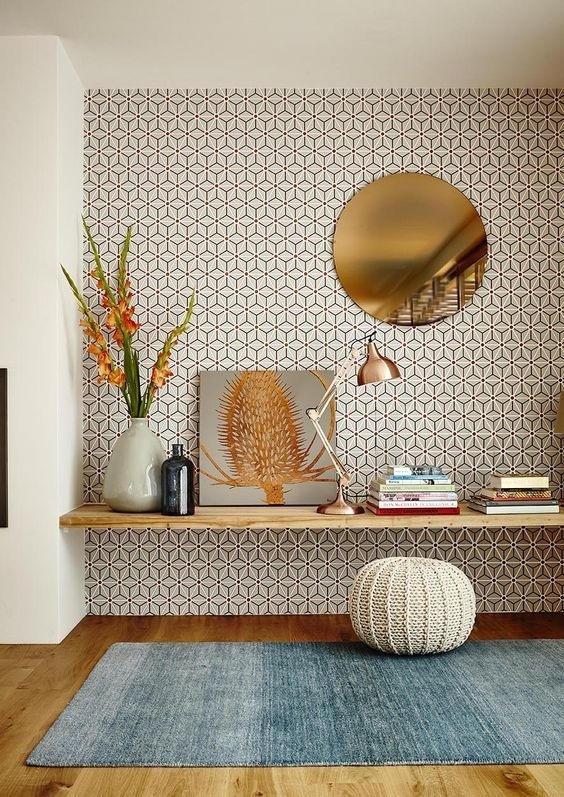 Patterns are a perfect way to inject new accents and create movement in your space. Add a sophisticated, eye-catching pattern to your home decor this spring by incorporating ikat. Popular in India, Asia, Africa, and Latin America, ikat is a dyeing and weaving technique that embraces softer lines and a blurred effect. This pattern is a mix of elegance and whimsy. 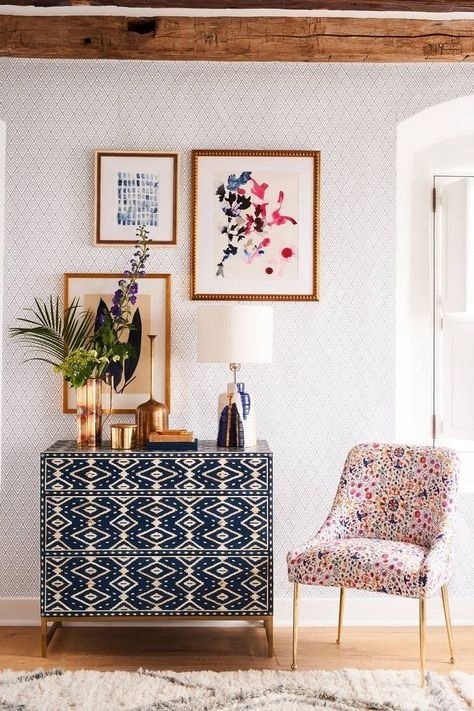 Using ikat on a large piece of furniture is a unique way to integrate and create a functional piece of art that will surely be the focal point of any space! Stripes have the power to be subtle and sweet, or loud and full of movement. 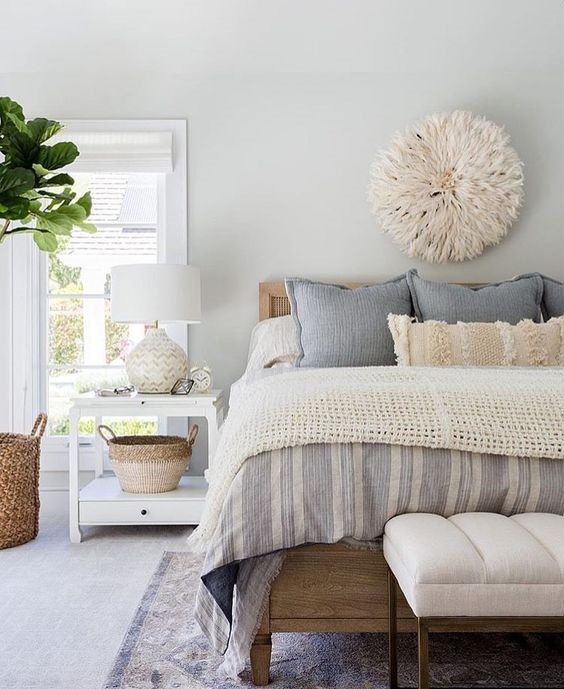 Striped bedding can be used as the groundwork for your spring bedroom decor. 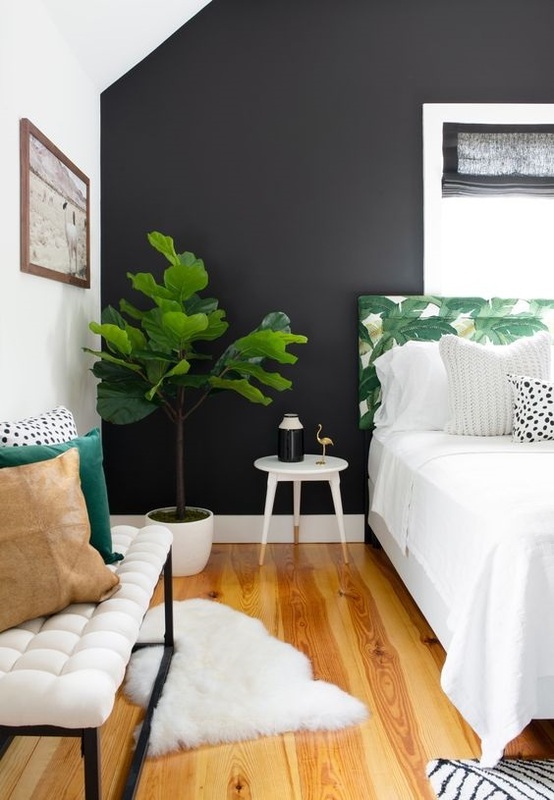 Depending on the chosen stripe, they can produce a bold feeling, energizing your room, while a soft stripe can create a subtle feeling, grounding your room. The best characteristics of stripes is they blend well with other patterns and can be used when layering. Geometric patterns can be utilized to bring life and energy into a room. It can enhance mid-century modern design and work well in either modern or classic designs. The combination of cleanliness and simplicity in geometric patterns is the perfect way to brighten up any room. You can play it safe by using small geometric designs on pillows or make a statement by adorning a wall with a geometric wallpaper. Amplify your home decor by splashing tropical patterns in little bursts. Dare to take your design to the next level by choosing a bold and spirited leafy print! The pop of colour and pattern will add a spring vibe to your space. Polka dots have always been a fun and playful pattern. They never go out of style. Normally seen in light-hearted settings, this pattern is an instantaneous mood changer. Polka dots can be seen in tile floors, wallpaper, throw pillows, and rugs. 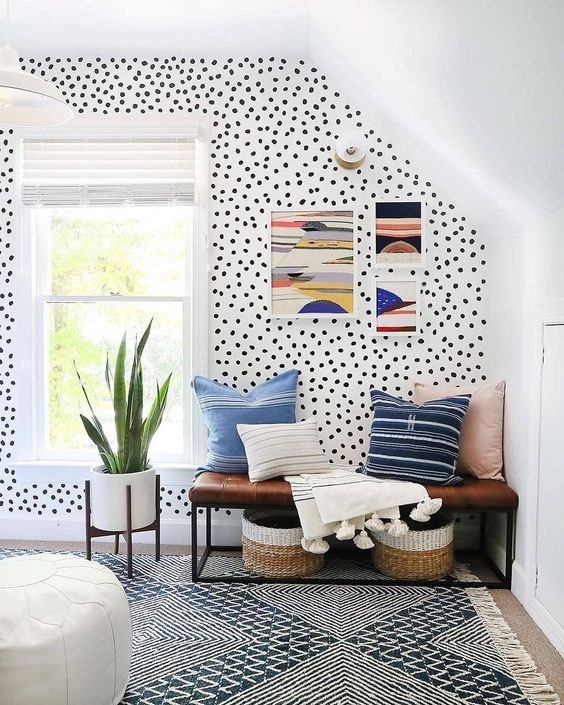 Add a feeling of whimsy to your spring decor by incorporating polka dots into your next design project! 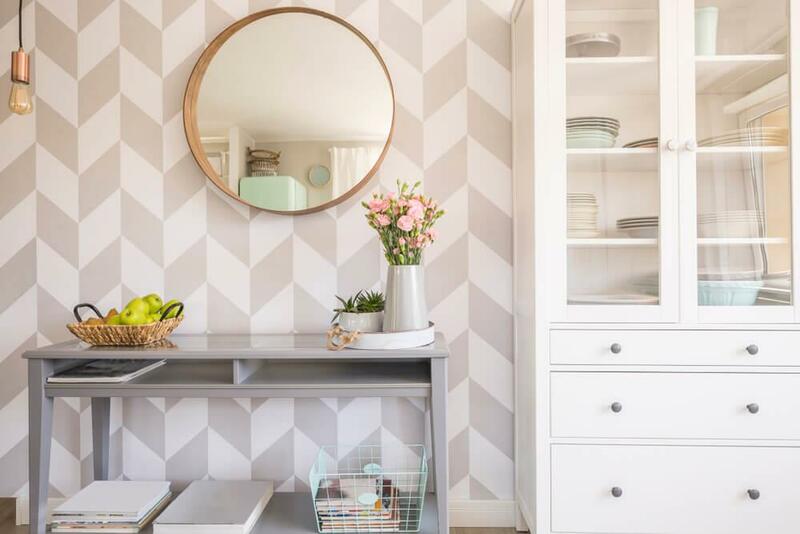 Adding patterns to your home decor is a perfect way to inject a little pizazz this spring. Mixing patterns in your home adds colour, depth and interest. Adding varying scale is important when mixing patterns. If you want to incorporate some pattern in your decor, a good rule of thumb is to mix three patterns in different sizes or scale.